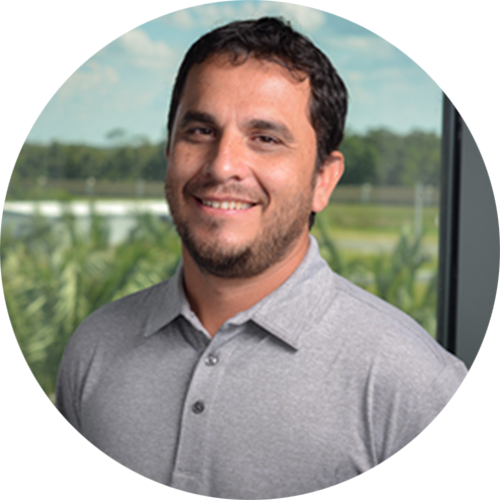 Neil Magana has more than 12 years of experience in semiconductor manufacturing and over 5 years of experience in facilities maintenance in the pharmaceutical industry. He began his career in 1996 at Harris Semiconductor in Palm Bay, Florida, where he worked in the production areas of diffusion and lithography as an equipment operator and technician. Since then, Magana has leveraged his skills in equipment installation and maintenance in a variety of positions at Ebara Technologies, BOC Edwards, and Qorvo, Inc.
As a Facilities Maintenance Technician at BRIDG, Magana is primarily responsible for maintaining facilities equipment, including BRIDG’s ultra-pure water system, AWN, and HVAC. He also plays a role in the maintenance and installation of sub-fab support equipment and Building Automation systems.